Folk rock crooner Chris Kasper rings in Halloween weekend with a spooky new video for an old song, “Ballad of The Burning House,” from his 2013 album Bagabones. With heavy blues chord progressions, “Ballad of the Burning House” takes elements from Americana and folk; Paired with Kasper’s gravely rasp, it has an eerie appeal to it. 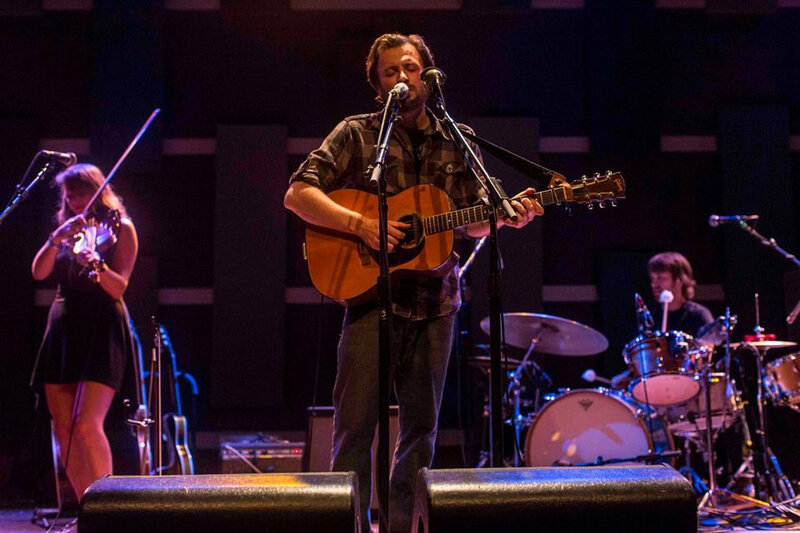 Roots singer-songwriter Chris Kasper is often thought of as a leading light of the Philadelphia folk scene, but a little known fact about the guy: he spent his musical formative years in Morgantown, West Virginia, studying at WVU. That’s where he first made the acquaintance of Mountain Stage host Larry Groce — who recently welcomed Kasper for his first appearance on the nationally-syndicated NPR program (which airs on WXPN Sunday afternoons). Local favorite Chris Kasper surprised us this week with a preview of his new album by way of “City by the Sea.” The bandleader / singer-songwriter shared the single on Bandcamp ahead of the record’s early 2017 release, dipping us into three and a half minutes of steamy summer nostalgia. Local duo P.S. 118 celebrate the release of their Vol. 1 EP at Silk City tonight. Jansen Scott and Lucas Hough have been working on their EDM music for awhile, drawing influences from scenes in Chicago and the UK as well as Hough’s jazz background. We premiered their song “Function” last week, which you can listen to below. Get more information about tonight’s release show here.